This one bedroom ground floor student rental flat is situated in a great central Egham location, just across the road from Waitrose and about a 3-4 minute walk from the train station. It was completely refurbished Autumn 2017. 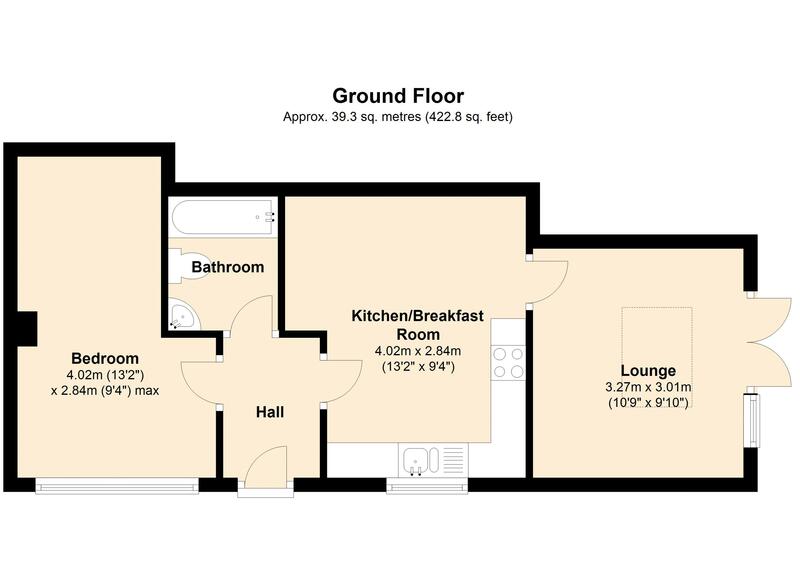 There is a lounge with access onto a small rear garden with artificial grass, large kitchen/breakfast room and a white bathroom suite. There is a gas central heating system to radiators, double glazing throughout and off road parking for 1 car. EPC Rating: TBC. Available for a 12 month contract from 1st July 2019.